DCSCA has created a group of organisations to plan and execute the re-vegetation of the area around The Dell's new Lookout. The revegetation project is financed by a $15,000 grant from the Commonwealth Government through its Caring for our Country Community Action Grants program. Among the organizations in the group are the Bellarine Catchment Network, Bellarine Landcare, City of Greater Geelong, Dept. of Sustainability and Environment and Springdale Neighbourhood Centre. The revegetation project will complement the new signage that was installed at The Dell in 2011. 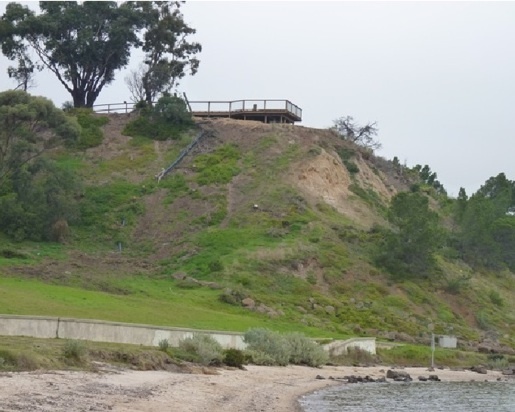 DCSCA participated actively in designing the signage and its revegetation project will make the area even more attractive for locals and visitors. 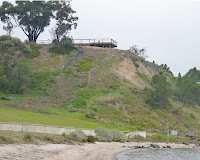 DCSCA wants the revegetation project to involve local people as much as possible and the project group is currently planning a Community Involvement Day on June 22 2012. This event will introduce around 130 students from the Drysdale Primary School and the Clifton Springs Primary School to environmental stewardship and sustainability. It will run at The Dell between 9.30 am and 12.40 pm, followed by a barbeque lunch provided by the local Lions club. • Plant propagation, when each student will take away an indigenous plant to grow at home or at school. Bypass campaign not short on advice!